Academy of Natural Sciences, Philadelphia (ANSP) - An international museum of natural history operating since 1812. Undertakes research and public education that focuses on the environment and its diverse species. AeroVironment (AV) - Product and technology innovation in clean energy, efficient vehicles, and wireless telecommunications. Efficient Energy Systems: AeroVironment has carried out over 300 projects related to the renewable energy. Our clients include investment funds, banks, and government and non-governmental organizatons, here and abroad. Unmanned Aerial Vehicles: AeroVironment has been flying solar-electric airplanes (Helios, Centurion, Pathfinder) successfully for over two decades and is recognised as the world leader in the field. Electric Vehicle Systems: Electric and hybrid concept vehicles, integrated train drives, battery testing, charging and management. Agency for Toxic Substances and Disease Registry (ATSDR) - ATSDR is an agency of the U.S. Department of Health and Human Services. Its mission is to prevent exposure and adverse human health effects and diminished quality of life associated with exposure to hazardous substances from waste sites, unplanned releases, and other sources of pollution present in the environment. Air Quality Monitoring Networks in Canada - Provides information on Environment Canada's air quality measuring and monitoring networks. Many of these networks are managed in co-operation with provincial or territorial governments, or university researchers. These stations measure pollutants and other chemicals in the atmosphere which may originate in Canada, or from international sources. Information from these networks is used by scientists to track and understand changes in our air quality, determine the effectiveness of air quality regulations, and identify new concerns. Researchers also depend on these measurements to develop and test complex air-quality models, which can be used to produce air-quality forecasts for major Canadian centers, or to understand the potential effects of proposed regulations, new technologies, and other changes in the environment. American Field Guide - Over 1200 video clips enable you to experience America's wilderness: animals, ecosystems (canyons, desert, forest, lakes and ponds, mountains, ocean and beach, prarie/grassland, rivers and streams, wetlands), human history, livlihoods, earth and space, plants, public policy, and recreation. Analysis of Water Banks in the Western States - "This report provides an analysis of water banking legislation, policies, and programs in 12 Western states. A primary purpose of the review is to identify banking programs and structures that promote environmental trades." Covers Arizona, California, Colorado, Idaho, Montana, Nevada, New Mexico, Oregon, Texas, Utah, Washington, and Wyoming. Also provides general information about water banking, including purpose, definitions, and formats (such as groundwater banking). From the Washington State Department of Ecology. American Rivers - Protects wild rivers, restores damaged rivers, and conserves clean water for people and nature. Since 1973, American Rivers has protected and restored more than 150,000 miles of rivers through advocacy efforts, on-the-ground projects, and an annual America's Most Endangered Rivers campaign. Arsenic Website Project - Discussion of problems and issues surrounding arsenic contamination of ground waters and links to further resources. Provided by Dr. Peter Wilson, Mallinckrodt Research Professor of Physics at Harvard University. Arctic Climate Impact Assessment (ACIA) - Evaluates and synthesizes knowledge on climate variability, climate change, and increased ultraviolet radiation and their consequences. The results of the assessment were released in November 2004. See Impacts of a Warming Arctic: Arctic Climate Impact Assessment. Asbestos - Information on asbestos minerals, diseases, exposure, occurrence, recognition, control, evaluation and more. Provided by the U.S. Occuupational Safety and Health Administration (OSHA). Basel Convention on Transboundary Movements of Hazardous Waste - Response of the international community to problems caused by the annual world-wide production of 400 million tons of toxic, poisonous, explosive, corrosive, flammable, eco-toxic, or infectious wastes. Bay-Delta Region Branch of California Department of Fish and Game - Mandated to conduct fisheries and wildlife research and analysis of the San Francisco Bay and Delta and special water projects of the estuary and its tributaries. These special projects include the channel and aqueduct systems of the Delta, as well as, the natural river systems and extending north and south from the Delta. Beach Report Card - A comprehensive analysis of coastline water quality on the U.S. West Coast. Each week, over 500 beaches are graded A to F based on bacteria analysis. Provided by Heal the Bay. Biodiversity Hot Spots - 25 biologically rich areas around the world under significant threat of destruction. California Data Exchange Center (CDEC) - CDEC provides a centralized location to store and process real-time hydrologic information gathered by various cooperators throughout the State. Includes hydrologic, river, tide, weather, snowpack, precipitation, forecast, reservoir, water supply, and satellite data. California Nevada River Forecast Center (CNRFC) - NOAA and NWS government source of hydrologic/weather data and forecasts for California, Nevada, and portions of southern Oregon. California Rivers Assessment (CARA) - Computer-based data management system designed to give resource managers, policy-makers, landowners, scientists and interested citizens access to information and tools with which to make decisions about the conservation and use of California's rivers. Carbon Calculator - How much CO2 and other greenhouse gasses (CO2e) do your activities create? Fill in the blanks in this CO2 emissions calculator to find out. carfree - Delightful solution to the vexing problem of urban automobiles. CERCLA List of Priority Hazardous Substances - The Comprehensive Environmental Response, Compensation, and Liability Act (CERCLA) section 104 (i), as amended by the Superfund Amendments and Reauthorization Act (SARA), requires ATSDR and the EPA to prepare a list, in order of priority, of substances that are most commonly found at facilities on the National Priorities List (NPL) and which are determined to pose the most significant potential threat to human health due to their known or suspected toxicity and potential for human exposure at these NPL sites. Consortium for International Earth Science Information Network (CIESIN) - International catalog of environmental and socioeconomic data maintained by Columbia University. Coral Health and Monitoring Program - Provides services to help improve and sustain coral reef health throughout the world. Cutting Paper - This site provides practical information to help the motivated office worker reduce paper use. Dendrome - A collection of forest tree genome databases and other forest genetic information resources for the international forest genetics community. Dendrome is part of a larger collaborative effort to construct genome databases for major crop and forest species. Earth Island - Information and resources from Earth Island's projects, journalism from the Earth Island Journal, and tools to address environmental challenges. EarthTrends - Environmental information portal. Eco-Index - Coverage of conservation projects throughout Mexico and Central Amercia. EcoEarth.Info - Environmental portal and search engine. Ecoglobe - Factual Information about local and global ecology and the balances between human activities and nature. Ecology WWW Page - Volunteer service for students, teachers, researchers, and others interested in the science of ecology. Ecotopia/USA - Devoted to environmental education that leads to improving behavior, to bring about ecological utopia (ecotopia). Site includes the Ecology Hall of Fame, honoring the heroes of the environmental movement, and a virtual tour of the Santa Cruz California Circle Trail. EcoWorld - EcoWorld's nature section provides information on the state of planetary ecosystems and projects underway, everywhere, to preserve and restore species and ecosystems. EcoWorld's energy and technology section provides information on clean technology and renewable energy. Encyclopedia of Earth (EoE) - An electronic reference about the Earth, its natural environments, and their interaction with society. The EoE is a free, expert-reviewed collection of content contributed by scholars, professionals, educators, practitioners and other experts who collaborate and review each other's work. Envirofacts - Integrates information from a variety of databases and includes latitude and longitude information. Each of these databases contains information about facilities that are required to report activity to a state or federal system. Using this form, you can retrieve information about hazardous waste (including the Biennial Report), toxic and air releases, Superfund sites, and water discharge permits. Facility information and a map of its location is provided. EnviroLink - Providing access to thousands of online environmental resources. Environet - Digital resources for environmental professionals. Environment Canada - Employs over 7000 employees from a broad range of fields including biology, chemistry, meteorology, climatology, engineering, commerce, communications, engineering, law enforcement, environmental sciences, hydrology, informatics, law, library science, policy, and more. Provide the science and technology information needed so that Canadians can make informed decisions about the environment. Involved in climate change research, meteorlogical and weather research, air quality research, water research, and nature and natural ecosystems research. Environment at Harvard - Gateway to Harvard University's environmental education, research, and outreach enterprise. Environmental Data & Governance Initiative (EDGI) - An international network of academics and non-profits addressing potential threats to U.S. federal environmental and energy policy, and to the scientific research infrastructure built to investigate, inform, and enforce. EDGI is also monitoring changes to federal regulation, enforcement, research, funding, websites and general agency management at agencies including EPA, DOE, NASA, NOAA, and OSHA. Environmental Education Link on the Internet (EE-Link) - Links to professional resources and organizations, government sites, and non-profit interest groups. Environmental Expert - Environmental business information center. Services offered: jobs, articles, reports, books, software, technology and equipment, directory, events, magazines, news, training, consulting. Environmental Health - This page provides links to descriptions of activities, reports, news and events, as well as contacts and cooperating partners in the various WHO programmes and offices working on this topic. Environmental Literacy Council - Providing background information and resources on the systems of the natural world and the interactions between the living and the non-living environment. Environmental Management - From the U.S. Department of Energy. Environmental Media Services - EMS brings together experts from academic, government, business, science, medical and public interest communities for extended briefings with journalists on controversial and/or emerging environmental and public health issues. Environmental News Network - A leading producer of environmental news and information. Find a Beach - U.S. beach advisories and online notification of closings. Office of Water - Responsible for ensuring safe drinking water and protecting ground water. OGWDW, along with EPA's ten regional drinking water programs, oversees implementation of the Safe Drinking Water Act, which is the national law safeguarding tap water in America. Sustainability - EPA efforts in the area of sustainability practices and approaches include labeling green products and promoting green chemistry and engineering, managing materials rather than creating waste, using green infrastructure to manage storm water runoff, and supporting the sustainable design of communities. Water Sense - Seeks to protect the future of our nation's water supply by offering people a simple way to use less water with water-efficient products, new homes, and services. Environmental Professionals Homepage - Platform for rapid information retrieval designed specifically for environmental consultants and remediation professionals. Environmental Publications and Newsletters - This page uses a variety of techniques to search the many different publications sites within EPA's overall site. Environmental ResearchWeb - Provides analysis and commentary on all areas of environmental research, including policy and sustainable technology. European Pollutant Release and Transfer Register (E-PRTR) - Europe-wide register that provides easily accessible key environmental data from industrial facilities in European Union Member States and in Iceland, Liechtenstein, Norway, Serbia and Switzerland. The new register contains data reported annually by some 28,000 industrial facilities covering 65 economic activities across Europe. For each facility, information is provided concerning the amounts of pollutant releases to air, water and land as well as off-site transfers of waste and of pollutants in waste water from a list of 91 key pollutantsincluding heavy metals, pesticides, greenhouse gases and dioxins for the year 2007, 2008 and 2009. Some information on releases from diffuse sources is also available and will be gradually enhanced. Exxon Valdez Oil Spill - On March 24, 1989, the Exxon Valdez grounded on Bligh Reef, and spilled nearly 11 million gallons of oil into the biologically rich waters of Prince William Sound. NOAA scientists and spill response experts helped to respond to this spill, and NOAA biologists have been monitoring the long-term effects of the spill and cleanup efforts. Here are some of their reports, along with links to more information elsewhere. Provided by NOAA Office of Response and Restoration. Flint Water Study Updates - An independent research team from Virginia Tech is volunteering its time, resources and expertise to help resolve scientific uncertainties associated with drinking water issues being reported (also, see here) in the City of Flint, Michigan. Forest and Shade Tree Pathology - Anaid to those learning forest and shade tree pathology. Forest Conservation Portal - Rainforest, forest, and biodiversity conservation news and information. Forest Resources of Europe, CIS, North America, Australia, Japan and New Zealand - Comprehensive set of internationally comparable data on the temperate and boreal forests published jointly by the UN Economic Commission for Europe (ECE) and the UN Food and Agriculture Organization (FAO). Forest Service: FS INFO - An online index of natural resources publications, including Forest Service literature. FS INFO provides citations to forestry and forestry-related natural resource literature, links to full text (pdf) are provided when available. Forests - Forest protection news, information retrieval tools and original analysis. FEMA Map Service Center - Find maps for areas of flooding throughout the United States. Delta Works - A series of construction projects in the southwest of the Netherlands to protect a large area of land around the Rhine-Meuse-Scheldt delta from the sea. The works consist of dams, sluices, locks, dikes, levees, and storm surge barriers. The aim of the dams, sluices, and storm surge barriers was to shorten the Dutch coastline, thus reducing the number of dikes that had to be raised. Flood control in the Netherlands - Flood control is an important issue for the Netherlands, as about two thirds of its area is vulnerable to flooding, while the country is among the most densely populated on Earth. Natural sand dunes and man-made dikes, dams and floodgates provide defense against storm surges from the sea. River dikes prevent flooding from water flowing into the country by the major rivers Rhine and Meuse, while a complicated system of drainage ditches, canals and pumping stations (historically: windmills) keep the low lying parts dry for habitation and agriculture. Water control boards are the independent local government bodies responsible for maintaining this system. Zuiderzee Works - A manmade system of dams, land reclamation and water drainage works, the largest hydraulic engineering project undertaken by the Netherlands during the twentieth century. The project involved the damming of the Zuiderzee, a large, shallow inlet of the North Sea, and the reclamation of land in the newly enclosed water using polders. Its main purposes are to improve flood protection and create additional land for agriculture. Freshwater Ecoregions of the World (FEOW) - Provides a new global biogeographic regionalization of the Earth's freshwater biodiversity. Covering virtually all freshwater habitats on Earth, this first-ever ecoregion map, together with associated species data, is a useful tool for underpinning global and regional conservation planning efforts, particularly to identify outstanding and imperiled freshwater systems; for serving as a logical framework for large-scale conservation strategies; and for providing a global-scale knowledge base for increasing freshwater biogeographic literacy. Global Biodiversity Information Facility (GBIF) -An interoperable network of biodiversity databases and biodiversity information. A wide range of countries and organisations participate in GBIF and have made their data available here. Global System for Sustainable Development - Quality controlled index to some of the best resources and materials on sustainability on the Internet. Global Warning: Eary Warning Signs - Global temperature map illustrates the local consequences of global warming. Global Water Center - A water research and business accelerator center in Milwaukee's Walker's Point neighborhood. Houses water-related research facilities for universities, existing water-related companies and accelerator space for new, emerging water-related companies. The facility is a venue for attracting and creating new businesses in the water industry, and aims to address key local and global water-quality, technology and policy issues. Go Green at Home! For Kids & Adults - Most people do not realize how financially beneficial it can be to learn how to recycle or conserve energy. By following some easy tips, any family can take part in the green revolution and do its part for the greater good. Green Map System - A Green Map charts the places where nature and the designed world interconnect, using the Green Map Icons to symbolize the different kinds of ecologically and culturally significant sites, including the toxic hot spots. All decisions about each Green Map are made locally, so final products vary widely. Many focus only on beneficial natural sites, and sometimes Green Maps are merged with another kind of map, such as a bicycle map. Many include narrative text and background info on each of the sites identified by the icons. See List of all the Green Maps. Green Pages - Global directory for environmental technology. Comprehensive guide to environmental products and services, featuring leading suppliers from 140 countries. Information about organisations, conferences and publications is complemented by editorial contributions from experts in their respective fields. A reference source for government departments, utility companies, engineering consultants, development agencies, importers and traders, educational institutes, non-governmental organisations and individuals engaged in environmental activities. Ground Truth Trekking - Raises awareness of environmental issues and controversies through its expeditions. Harvard Medical School Center for Health and the Global Environment - Dedicated to promoting a wider understanding of how human health is inextricably linked to the global environment. Hatfield Consultatns, Ltd. - Provides services to clients in resource industries, governments, international financial institutions, development agencies, and multilateral institutions, in the fields of environment, fisheries, resource development, and institutional training. Helmholtz Association - Carries out top-level research to identify and explore the major challenges facing society, science and the economy. Its work is divided into six strategic research fields: Energy; Earth and Environment; Health; Key Technologies; Structure of Matter; and Aeronautics, Space and Transport. The Helmholtz Association brings together 18 scientific-technical and biological-medical research centres. With some 32,698 employees and an annual budget of approximately 3.8 billion euros, the Helmholtz Association is Germany's largest scientific organisation. Hydrocarbon Releases Database System (UK) - Contains supplementary information, dating from 1 October 1992, on all offshore releases of hydrocarbons reported to the HSE Offshore Division (OSD) under the Reporting of Injuries, Diseases and Dangerous Occurrences Regulations 1995 (RIDDOR), and prior offshore legislation. Authorised users (see help for details) can log on to the Hydrocarbon Releases (HCR) System to enable search and other reporting facilities, including details of the associated offshore installations, systems and equipment population currently operating on the UK Continental Shelf. Hydrology Technical Group - Part of the Energy and Environment Directorate of the Pacific Northwest National Laboratory (PNNL). Research activities cover a broad range of water resource issues. Information Center for the Environment - Cooperative effort of an interdepartmental team of environmental scientists at the University of California, Davis and collaborators at over thirty private, state, federal, and international environmental organizations. 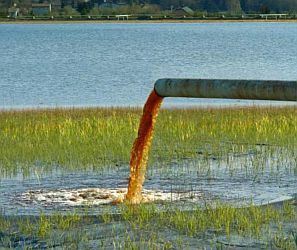 Information Collection Rule (ICR) - U.S. Environmental Protection Agency data collected as part of a national research project to support development of national drinking water standards which protect public health. Institute for Social Ecology - Plainfield, Vermont. An independent institution of higher education dedicated to the study of social ecology, an interdisciplinary field drawing on philosophy, political and social theory, anthropology, history, economics, the natural sciences, and feminism. Institute of Forest Genetics (IFG) - A USDA Forest Service research unit devoted to forest genetics research. Instituto Terra, The -Th is project is the result of an ambitious initiative taken in the late 1990s by Lelia Deluiz Wanick Salgado and Sebastião Salgado. Confronting environmental devastation in and around a former cattle ranch bought from Sebastião Salgado's family near the town of Aimores, in Brazil's state of Minas Gerais, they decided to return the property to its natural state of subtropical rainforest. They recruited partners, raised funds and, in April 1998, they founded the Instituto Terra, an environmental organization dedicated to the sustainable development of the Valley of the River Doce. International Institute for Sustainable Development (IISD) - Promotes sustainable development in decision-making internationally and within Canada. International Journal of Environmental Pollution and Environmental Modelling (IJEPEM) - A leading journal for environmental researchers in several areas such as water pollution, wastewater pollution, air pollution, solid waste management, biotechnology, soil pollution, surface and groundwater, renewable energy, energy management, microbiology, sustainability, waste recovery and transformation, fuzzy logic, artificial neural networks. International Rivers Network (IRN) - IRN supports local communities working to protect their rivers and watersheds, working to halt destructive river development projects, and to encourage equitable and sustainable methods of meeting needs for water, energy and flood management. IUCN Red List of Threatened Species - The world's most comprehensive inventory of the global conservation status of plant and animal species. The International Union for Conservation of Nature (IUCN) is the world's main authority on the conservation status of species. Journey to Forever - A pioneering expedition by a small, mobile NGO involved in environment and rural development work, starting from Hong Kong and travelling 40,000 kilometres through 26 countries in Asia and Africa to Cape Town, South Africa. The focus is on trees, soil and water, sustainable farming, sustainable technology, and family nutrition. The aim is to help people fight poverty and hunger, and to help sustain the environment. Lewis and Clark as Naturalists - Follow the Lewis and Clark trail and discover the flora and fauna as they described it along the way. Living Edens, The - PBS television natural history series. State-of-the-art cinematography creates an intimate sense of place and captures a world of wonder, transporting viewers to isolated, undisturbed corners of the globe so pure they remind us of how the ancient world once was. MIT Project on Environmental Politics and Policy - A research and teaching effort that views environmental policymaking as a political process in which trading political, economic, and social interests and values is as important as technical problem-solving. Mold Resources - Introduction to molds and mold-related resources presented by the U.S. Environmental Protection Agency. MSDSonline - Contains over 1.2 million indexed and searchable Material Safety Data Sheets (MSDS) documents. MyEnvironment - The Environmental Protection Agency provides immediate access to a cross-section of environmental data for any geographical location in the U.S.
National Drought Mitigation Center - Established at the University of Nebraska-Lincoln in 1995, helps people and institutions develop and implement measures to reduce societal vulnerability to drought, stressing preparedness and risk management rather than crisis management. Also see Current U.S. Drought Monitor Map. National Stream Quality Accounting Network (NASQAN) - Provides ongoing characterization of the concentrations and flux of sediment and chemicals in the largest rivers in the U.S.
National Water-Quality Assessment (NAWQA) Program - U.S. Geological Survey program designed to describe the status and trends in the quality of the Nation's ground- and surface-water resources and to provide a sound understanding of the natural and human factors that affect the quality of these resources. Also see, National Assessment of Volatile Organic Chemicals (VOCs). Natural Resources Canada - Gateway to a vast collection of research materials, periodicals, reports, maps, other resources and information databases relevant to the sustainable development of Canada's mineral, forest and energy resources, and landmass. NOAA Aircraft Operations Center - Airplanes and helicopters of the Aircraft Operations Center (AOC) are flown in support of NOAA's mission to promote global environmental assessment, prediction and stewardship of the Earth's environment. NOAA Annual Greenhouse Gas Index (AGGI) - The AGGI is a measure of the climate-warming influence of long-lived trace gases and how that influence has changed since the onset of the industrial revolution. The index was designed to enhance the connection between scientists and society by providing a normalized standard that can be easily understood and followed. NOAA Earth System Research Laboratory (ESRL) - Formed to pursue a broad and comprehensive understanding of the Earth system. This system comprises many physical, chemical and biological processes that need to be dynamically integrated to better predict their behavior over scales from local to global and periods of minutes to millennia. NOAA Environmental Visualization Laboratory - Animations and images featuring NOAA's remotely-sensed data. NOAA Global Greenhouse Gas Reference Network - easures the atmospheric distribution and trends of the three main long-term drivers of climate change, carbon dioxide (CO2), methane (CH4), and nitrous oxide (N2O), as well as carbon monoxide (CO) which is an important indicator of air pollution. The Reference Network is a part of NOAA's Earth System Research Laboratory in Boulder, Colorado. The measurement program includes around the clock measurements at 4 baseline observatories and 8 tall towers, air samples collected by volunteers at more than 50 sites, and air samples collected regularly from small aircraft mostly in North America. Noise Pollution Clearinghouse (NPC) - A national non-profit organization with extensive online noise related resources. Resilience - Supports building community resilience in a world of multiple emerging challenges: the decline of cheap energy, the depletion of critical resources like water, complex environmental crises like climate change and biodiversity loss, and the social and economic issues linked to these. Resources for the Future (RFF) - RFF is a nonprofit and nonpartisan organization that conducts independent research on environmental, energy, and natural resource issues. RFF has pioneered the application of economics as a tool to develop more effective policy about the use and conservation of natural resources. Rocky Mountain Institute (RMI) - RMI research is focused in energy, transportation, green development, climate change, water, economic renewal, corporate sustainability, forests, and security. Royal Botanic Gardens, Kew, London - Seeking to enable better management of the Earth's environment by increasing knowledge and and understanding of the plant and fungal kingdoms. Smithsonian Tropical Research Institute (STRI) - A unit of the Smithsonian Institution, and one of the world's leading centers for basic research on the ecology, behavior and evolution of tropical organisms. Socioeconomic Data and Applications Center (SEDAC) - Information gateway between Earth and social sciences. SEDAC focuses on human interactions in the environment. Solid Waste - Source of product, technology, regulatory, and management information concerning waste handling and disposal from consumer, commercial, and industrial sources. Stanford Woods - Develops environmental leaders; informs decision-makers with scientific data; and convenes experts from all of Stanford University's seven schools, other leading academic institutions, government, NGOs, foundations and business to link knowledge to action and solve the environmental challenges of today and tomorrow. Sunshine Environment Link - A multi-topic search directory linking to accurate sites about environmental topics. Surf Your Watershed - Find your watershed. Once you locate your watershed, click on the first link, "citizen-based groups at work in this watershed," to find a listing of organizations that are working to protect water quality. You may want to contact one of these groups to find out about cleanups, monitoring activities, restoration projects and other activities. Syracuse Research Center: Environmental Science - A world leader in scholarly research in environmental chemistry, toxicology, and risk assessment. Tree Conservation Information Service - The World Conservation Monitoring Centre (WCMC), in association with the IUCN Species Survival Commission and a network of experts identified over 8000 tree species threatened with extinction. This survey, supported by the government of the Netherlands as part of the Conservation and Sustainable Management of Trees project, is the first of its kind to assess the conservation status of tree species worldwide. Trillionthtonne - Explaining the need to limit cumulative emissions of carbon dioxide. Data provided by the Department of Physics, University of Oxford. Tropical Rain Forest Information Center - A NASA Earth Science Information Partner (ESIP) providing data, products and information services to the science, resource management, and policy and education communities. Toxics Release Inventory (TRI) - A publicly available EPA database that contains information on toxic chemical releases and other waste management activities reported annually by certain covered industry groups as well as federal facilities. U.S. Bureau of Reclamation - Established in 1902, the Bureau of Reclamation is best known for the dams, powerplants, and canals it constructed in the 17 western states. These water projects led to homesteading and promoted the economic development of the West. Reclamation has constructed more than 600 dams and reservoirs including Hoover Dam on the Colorado River and Grand Coulee on the Columbia River. Today, it is the largest wholesaler of water in the country. Reclamation is also the second largest producer of hydroelectric power in the western United States. U.S. Drought Monitor - A weekly map of drought conditions that is produced jointly by the National Oceanic and Atmospheric Administration, the U.S. Department of Agriculture, and the National Drought Mitigation Center (NDMC) at the University of Nebraska-Lincoln. The map is based on measurements of climatic, hydrologic and soil conditions as well as reported impacts and observations from more than 350 contributors around the country. 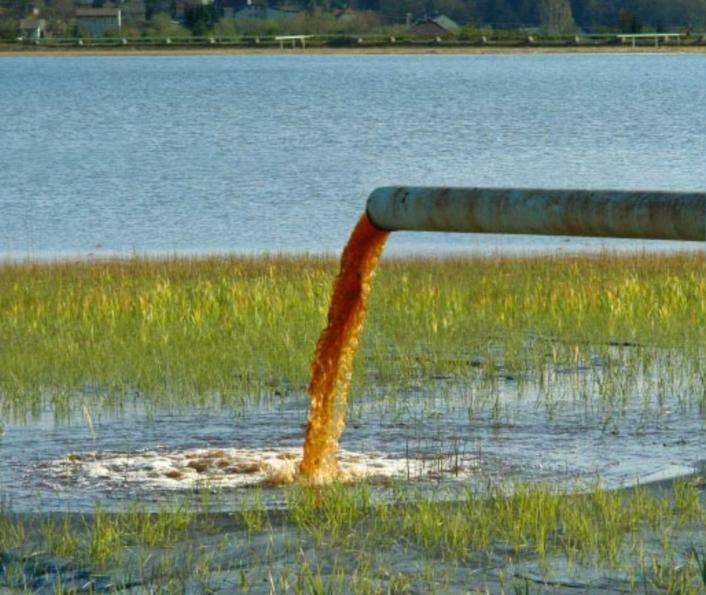 U.S. Environmental Protection Agency (EPA) - Protects human health and safeguards the natural environment. U.S. Geological Survey (USGS) - More than 150 servers distributed nationwide collectively serve approximately 250,000 web pages. U.S. Long Term Ecological Research Network (LTER Network) - A collaborative effort involving more than 1800 scientists and students investigating ecological processes over long temporal and broad spatial scales. Each LTER site encompasses unique ecosystems and research approaches, investigators, students and management systems. Each of the 26 sites works as part of the Network sharing expertise, data and a common mission. The geographic distribution of sites ranges from Alaska to Antarctica and from the Caribbean to French Polynesia and includes agricultural lands, alpine tundra, barrier islands, coastal lagoons, cold and hot deserts, coral reefs, estuaries, forests, freshwater wetlands, grasslands, kelp forests, lakes, open ocean, savannas, streams, and urban landscapes. Each site develops individual research programs in five core areas. U.S. National Toxicology Program (NTP) - Coordinates toxicology research and testing activities to provide information about potentially toxic chemicals to regulatory and research agencies and the public. U.S. Nuclear & Uranium - Official nuclear power and uranium information and statistics from the U.S. Government. U.S. Occupational Safety and Health Administration (OSHA): Technical Links - Site links to compliance, technical, and training information. Occupational safety and health information categorized by 100+ technical subjects. Pages about hazards describe ways to recognize, evaluate and control the hazard. Pages about industries describe the hazards in the industry and how to control them. Provides a variety of reference materials including OSHA and non-OSHA documents, training slides, course handouts, video clips, and links to other Internet sites. Urban and Environmental Policy Institute (UEPI) - UEPI is a research, education, technical assistance, and community-linked organization of affiliated programs on urban and environmental policy, actions and education. Based at Occidental College, UEPI focuses on issues of regional development, work and industry, housing, and the urban environment. USC Program for Environmental and Regional Equity (PERE) - Conducts research and facilitates discussions on issues of environmental justice, regional inclusion, and social movement building. Supports collaborations with community-based organizations in research and other activities trying to forge a new model of how university and community can work together. USGS Water Science School - Provides information on many aspects of water, along with pictures, data, maps, and an interactive center. Also see Water Science Glossary of Terms. Water on the Web (WOW) - Offers unique opportunities for high school and first year college students to learn basic science through hands-on science activities, in the lab and in the field, and by working with state-of-the-art technologies accessible through a free web site. Water Council - Working to establish the Milwaukee region as the world water hub for water research, economic development, and education. Also see Global Water Center. Water Online - Information about the water and wastewater industry: the resource management, supply, treatment and distribution of drinking water, and the collection, treatment and disposal of wastewater, as well as the many ancillary functions that accompany them, for example, stormwater management and sludge conditioning and disposal. Whole Earth Catalog - The Whole Earth Catalog was an American counterculture catalog published by Stewart Brand between 1968 and 1972, and occasionally thereafter, until 1998. Although the WECs listed all sorts of products for sale (clothing, books, tools, machines, seeds - things useful for a creative or self-sustainable lifestyle) the Whole Earth Catalogs themselves did not sell any of the products. Instead the vendors and their prices were listed right alongside with the items. See Wikipedia article. Archives now avaiilable online. World Conservation Monitoring Centre - Information services on conservation and sustainable use of the world's living resources. World Resources Institute (WRI) - Economics, forests, biodiversity, climate change, energy, sustainable agriculture, resource and environmental information, trade, technology, national strategies for environmental and resource management, business liaison, and human health. World's Biomes, The - An introduction to the major biomes on Earth. Biomes are defined as "the world's major communities, classified according to the predominant vegetation and characterized by adaptations of organisms to that particular environment." World's Fresh Water, The - Interactive graphhic from National Geographic showing permafrost, glaciated ice or ice sheet, rivers andn lakes, wetlands worldwide. Also view groundwater and river detail maps. This webpage last updated on Thursday, November 29, 2018 2:21 PM.